Tue., Sept. 19, 2017, 7:16 p.m.
A quality record, a good feel for new lineup combinations and a ton of frequent flyer miles. 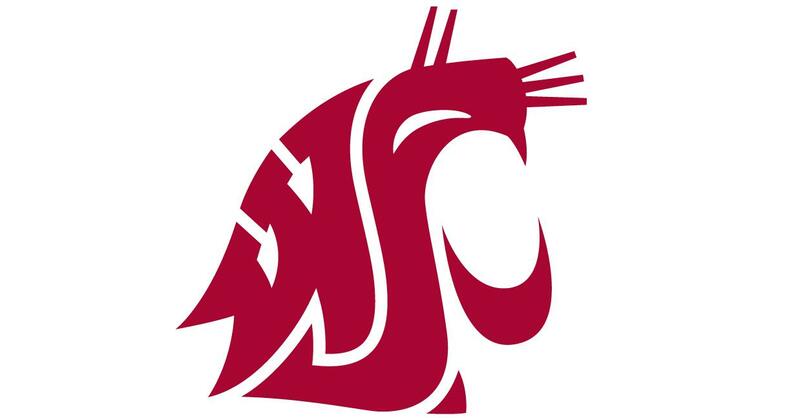 Washington State’s preconference volleyball schedule took the Cougars across the country twice and to the Midwest once, accumulating roughly 14,000 air miles. The Cougars put together an 11-1 mark and they’re receiving votes in the AVCA poll, same as in the preseason rankings. Now, the road trips become shorter and the opponents become tougher. WSU entertains No. 7 Washington at 6 p.m. Wednesday in Bohler Gym to open the 20-game Pac-12 Conference schedule. The match will be televised on Pac-12 Networks-Washington. UW (10-1) was the preseason Pac-12 favorite. Defending national champion Stanford and Oregon, both under new head coaches, are title contenders and four more conference schools are in the Top 25. The Cougars’ lineup is an amalgam of new faces (freshman setter Penny Tusa and Oklahoma transfer Ashley Brown), familiar faces in new positions (Taylor Mims from middle blocker to outside hitter, MB Claire Martin to opposite and outside hitter Casey Schoenlein to opposite), familiar faces in the same positions (OH McKenna Woodford and libero Alexis Dirige) and familiar faces elevated to prominent roles (middles Ella Lajos and Jocelyn Urias). The Cougars have retained their blocking prowess with size across the front in the 6-foot-4 Woodford, 6-3 Mims, 6-3 Lajos, 6-3 Urias, 6-4 Martin and 6-5 Schoenlein, who has been sidelined the last few weeks with an injury. WSU ranks second nationally in blocks per set after leading the country in total blocks in 2016. The offense has been solid but there’s room to improve, according to Greeny. WSU is hitting .255, last in the Pac-12 but 44th nationally. The changes could help the Cougars combat the potent offenses they’ll encounter in Pac-12 play. Conference play begins this week for the four D-I schools and all seven area programs have at least one home match. Gonzaga (5-7) opens WCC play with visits from Saint Mary’s on Thursday and Pacific on Saturday. Idaho (5-6) entertains Montana State on Thursday and Montana on Saturday. Eastern Washington (3-6) faces Montana on Thursday and Montana State on Saturday. WSU faces Arizona in Tucson on Saturday. Three-time defending Northwest Conference champion Whitworth (4-6, 1-1) is home versus Whitman on Wednesday and Willamette on Friday. North Idaho College (12-5, 2-0 NWAC East) takes on Blue Mountain on Friday and Yakima Valley on Saturday at Christianson Gym. The Cardinals’ first six East Division matches are at home and their last six are on the road. Community Colleges of Spokane (18-3, 1-0) visits Walla Walla on Wednesday and entertains Columbia Basin on Saturday. Published: Sept. 19, 2017, 7:16 p.m.